Direct Primary Care is an innovative membership-based approach that brings the doctor-patient relationship back to the forefront of healthcare while improving the quality of care and putting money back into your pocket. At Osteopathic Healing Arts, LLC in Libertyville, Illinois, we are here for your entire family. 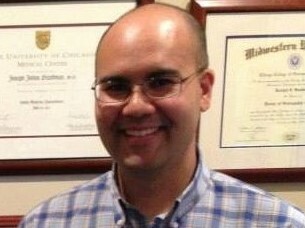 Dr. Joseph Starkman, D.O. is a board-certified family medicine physician who provides primary care for all ages and levels of health throughout Chicago. Our goal is to keep you healthy, thus avoiding the need for care beyond your visits with us. Create a healthier and more balanced life today! Under the DPC model, the patient receives comprehensive primary care services directly from Dr. Starkman through a convenient and affordable monthly fee. Because we do not participate in any insurance plans, we are able to avoid the ever-increasing demands & costs associated with accepting insurance, allowing us to pass savings on to you. We focus on you & your health without the insurance companies getting involved. We believe that the best primary care medicine is both personal and affordable, and that’s what we offer. Primary care is all we do, so let us restore your faith in health care. Experience a patient relationship based on trust and respect; the type of relationship every patient deserves. We offer comprehensive family medical services. All ages and conditions are welcome for their primary care needs. Through our DPC model, you receive comprehensive primary health care from Dr. Joseph Starkman through a monthly membership fee. Integrative medicine is a healing-oriented medicine that takes account of the whole person (body, mind & spirit), including all aspects of lifestyle. It emphasizes the therapeutic relationship and makes use of all appropriate therapies, both conventional and alternative. 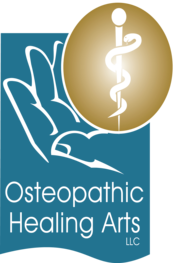 Traditional Osteopathy is a system of natural medicine that views the individual as a whole unit. The principles of osteopathic medicine emphasize the interrelationship between structure and function of the body and recognizes the body’s ability to heal itself. Through a membership associated with a Direct Primary Care, we are able to provide you with a majority of your primary care needs for a simple, fixed price. You will be able to budget your monthly healthcare expense, without worrying about insurance premiums, co-pays, deductibles or surprises. We do not require you to commit to any length of membership beyond your first month. Enrollment Fee: $160 per member (non-refundable). Small businesses with 10+ enrolled members will receive a $55/month rate per person. *$25/mo rate available with an adult member, $40/mo without an adult member. At this time we are not able to provide routine immunizations.